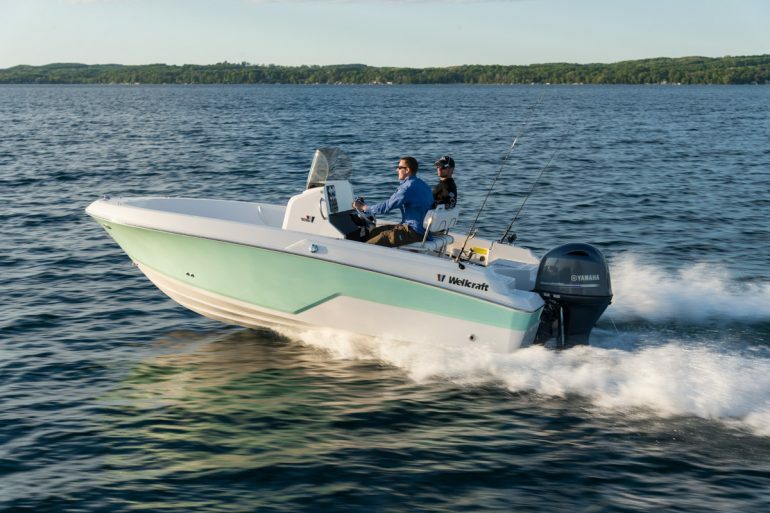 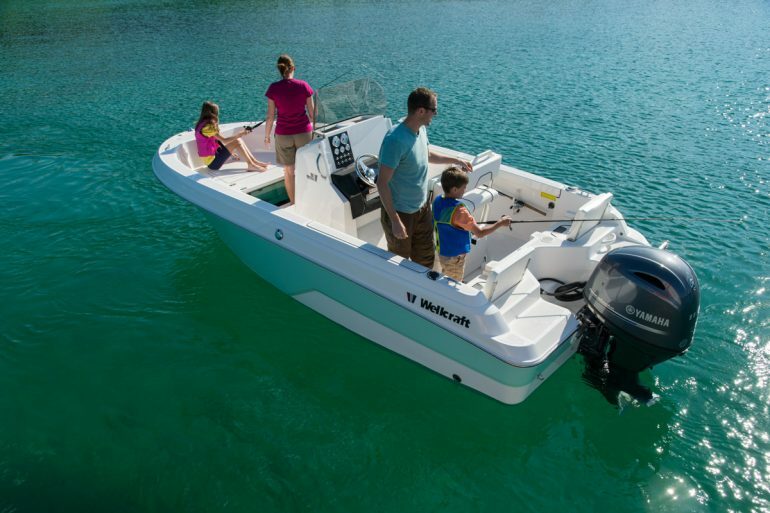 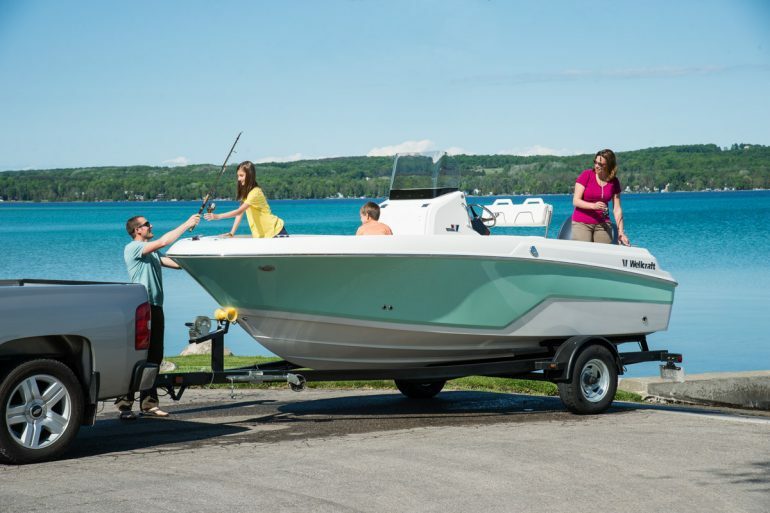 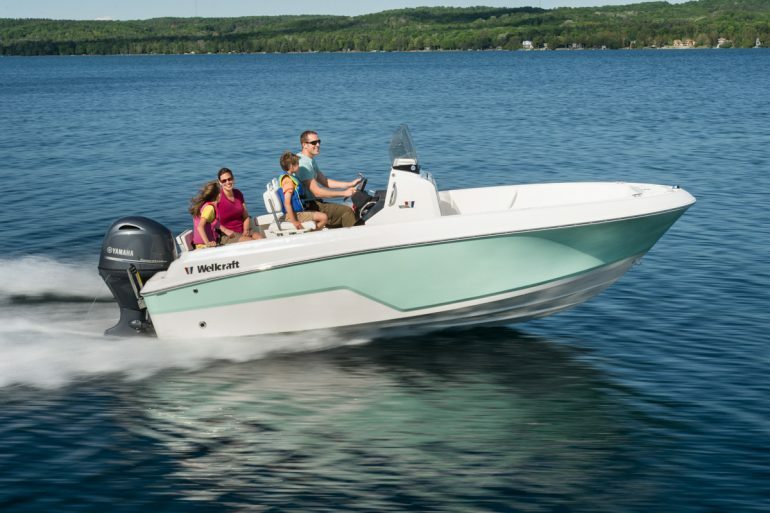 Wellcraft’s entry level & most attainable centre console fishing boat is a fantastic family day-boat capable of accommodating 8 people on board. 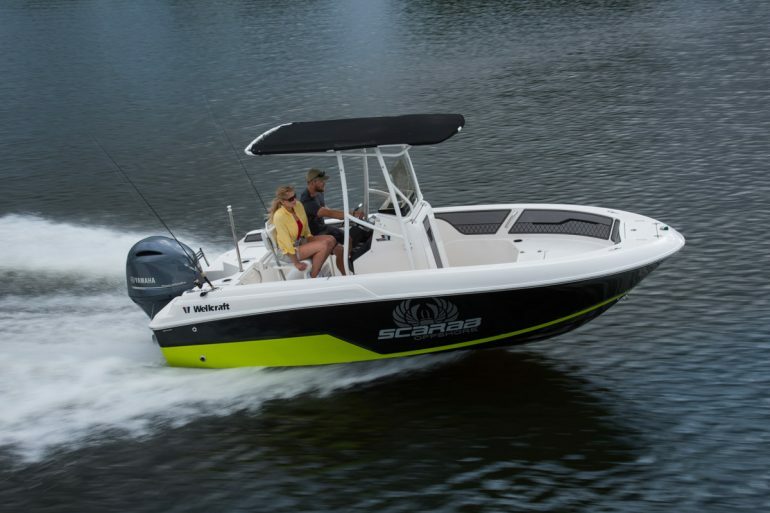 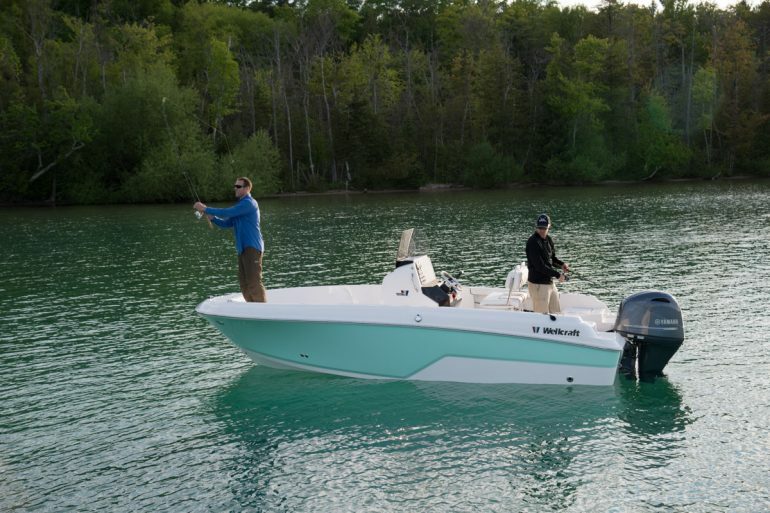 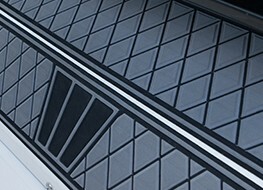 Expect the same level of quality on board with model as you would the 302 Fisherman. 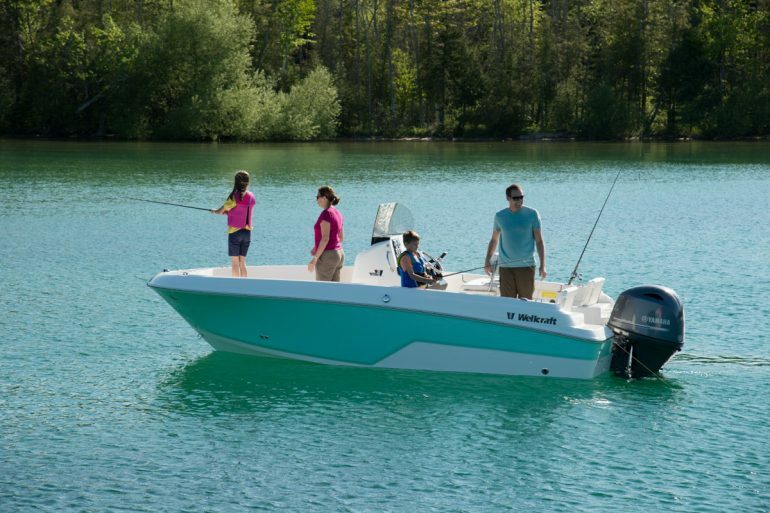 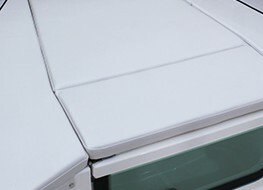 Many fixtures and fittings options include seating, T-top, trailer, flexible storage, and available in multiple colour options too. 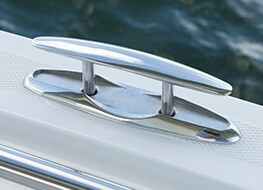 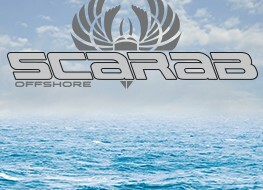 Sound systems & ski tow pylon can be added to get that little bit extra out of your time afloat. 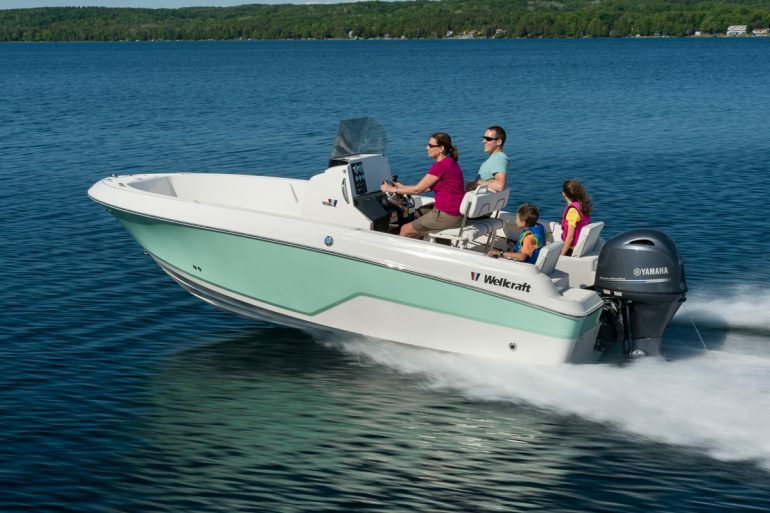 The 182 Fisherman is the ideal family day boat and leisure cruiser.